density was measured every day and cell size was measured from 50 live cells during the logarithmic phase. biomasses after 15 days of culture of all microalgal strains were affected by culture salinities tested. 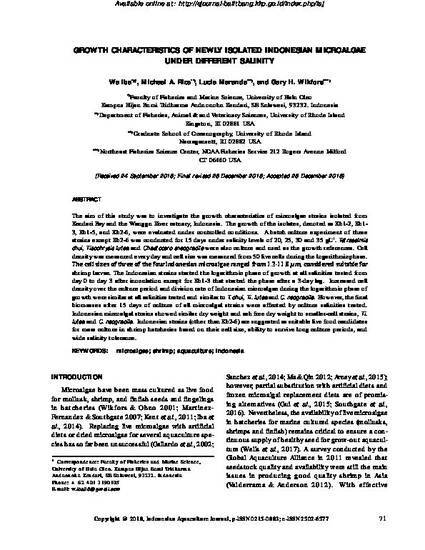 Indonesian microalgal strains showed similar dry weight and ash free dry weight to smaller-cell strains, Ti.